Want to connect with Bruce? I will start by saying "Quality is Priceless" that's what I live by. 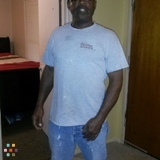 I have over 25 years experience painting, hard working honest man. I paint houses, businesses, and pressure wash structures. Please give me a call if you are in the Tallahassee area, Will travel. I have very credible references, and reliable transportation. A hard working painter with strong work ethic. Responsible and respectful.